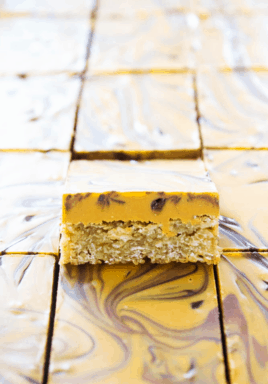 Butterscotch Bars are made with a chewy oat bar layer which is spread with a butterscotch peanut butter topping, then finished with a decadent chocolate swirl to create an insanely delicious treat! 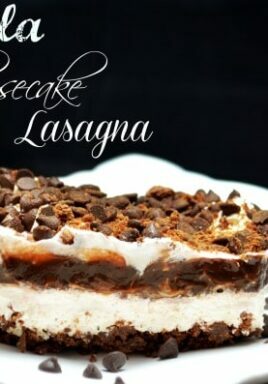 Pin it to your DESSERTS RECIPES to SAVE it for later! 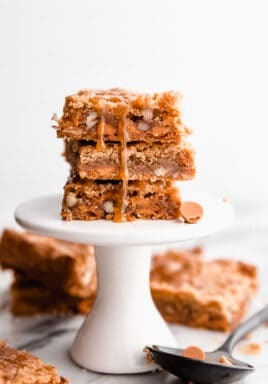 These Butterscotch Bars are simple, easy and just perfect for an outdoor barbecue or potluck and make a great afternoon sweet treat. 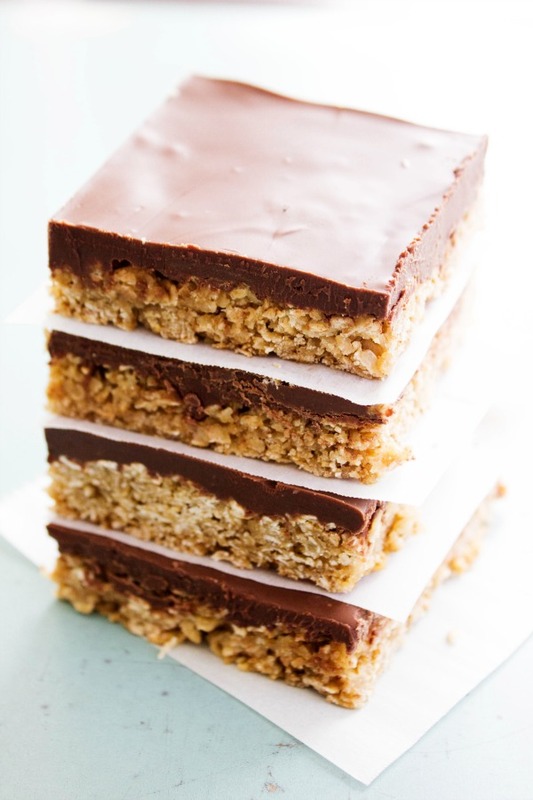 Everywhere we take these simple oat bars they are the first thing on the table to be devoured. I love recipes that are passed down to me from family and friends. 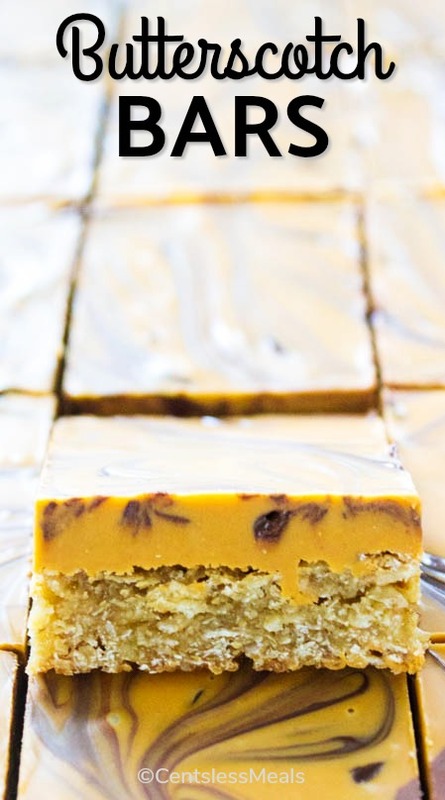 These Butterscotch Bars are one of those recipes. They are inspired by my mom’s best friend Shelia, who always made the most amazing treats! Every time we planned a camping trip with Shelia’s family I knew she would pack her famous Chocolate Oatmeal Peanut Butter Bars. My sisters and I looked forward to them and in fact I will admit we raided her cooler in search of those amazing treats. Of course, Shelia knew better and hid them but always would bring them out at an appropriate time. The Chocolate Oatmeal Peanut Butter Bars I have made literally thousands of times and that’s not an exaggeration. Simple and delicious, those bars even freeze well. I decided to take those bars and make my own twist and I know that if Shelia were still with us, she would be so proud of this new version. 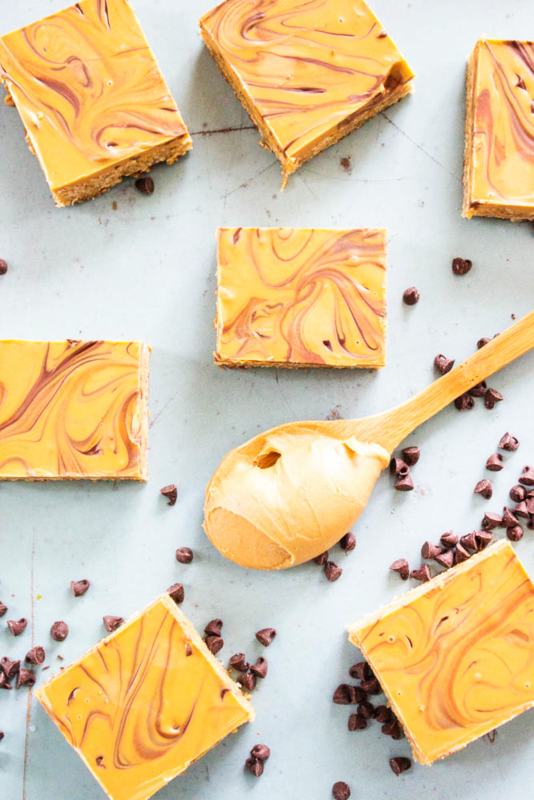 My husband loves butterscotch and peanut butter combination, so I decided to substitute the chocolate chips with butterscotch chips and create some sort of treat he would love and of course, devour. The first time he took a bite of these Butterscotch Bars he told me immediately to get them away from him. I laughed, but then he said it again and he was serious. I quickly realized this was the biggest compliment he could give me. He loved these bars so much he knew that he would have no self control. I will admit I didn’t either. The only problem with these Butterscotch Bars was that they were a little “Plain Jane”. So I touched them up a bit with a light chocolate swirl made with the addition of a few mini chocolate chips. What I love most about these bars is that they are so easy and everyone loves them. The first to disappear at large gatherings and a recipe everyone asks for, you won’t be disappointed in how these turn out. 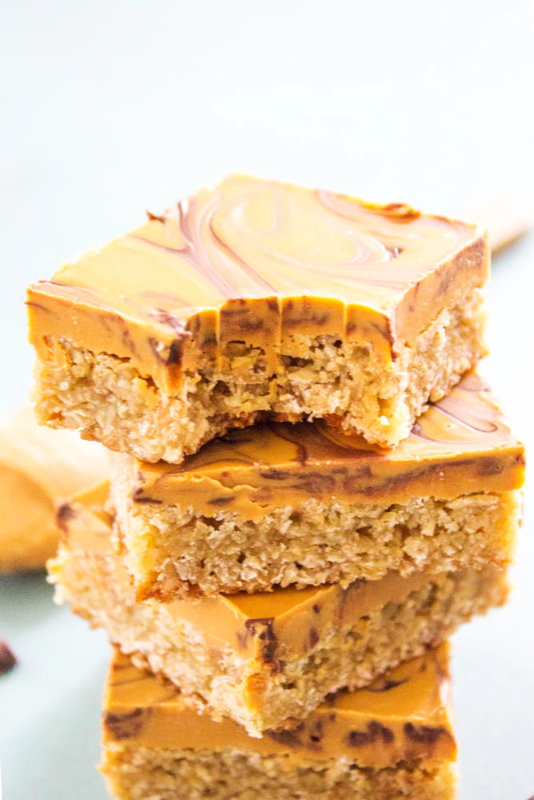 So looking for a summer snack or dessert recipe, try these Butterscotch Bars! Your kids will love them just as much as you. 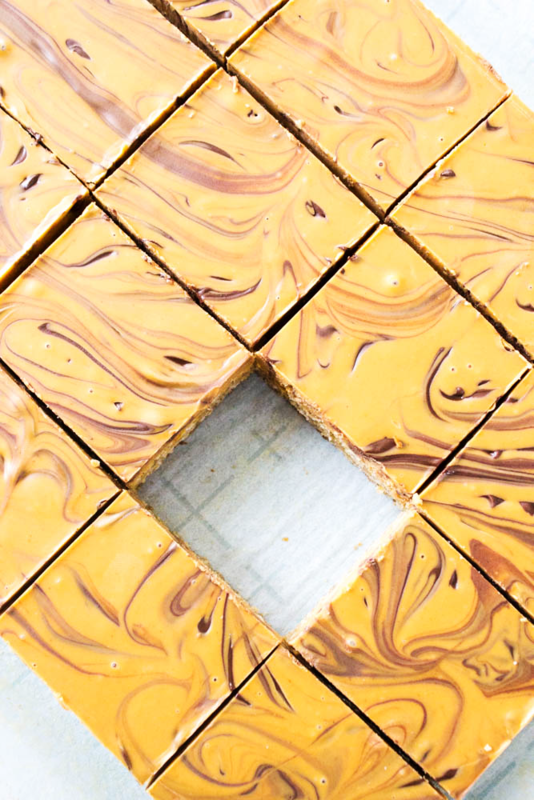 My favorite kitchen items used to make these Butterscotch Bars. 9×13 BAKING PAN: I use my 9×13 baking pans all the time. Dinner, cakes and even for play dough fun, these are a kitchen must have in our home. I prefer the dark pans over glass pan – all because I feel like they cook more evenly, but this is just my own personal thoughts. Line 9x13 metal baking pan with parchment paper or spray with cooking oil. 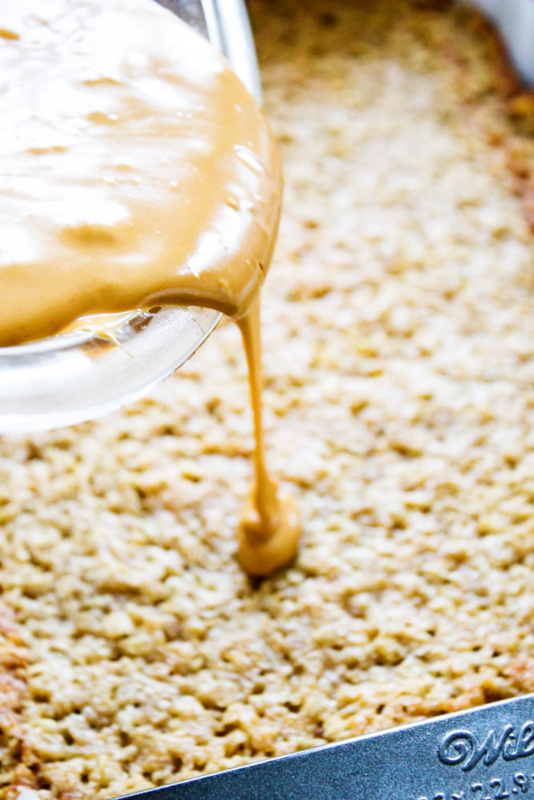 Mix all the oat bar ingredients in a medium mixing bowl until well combined. Press oat mixture into the prepared pan. Bake for 10-12 minutes. Do not bake longer! The bars may not look done but they are. During the last few minutes of bake time, begin to prepare the topping. In a medium microwave safe bowl combine butterscotch chips and peanut butter. Heat for 1 minute then remove quickly and stir. 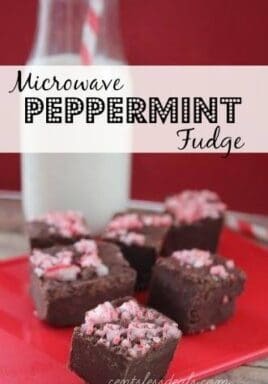 Place back in microwave and heat another 30 seconds, remove and stir vigorously until topping is creamy and smooth. *You may, depending on your microwave setting, need to heat for another 15 seconds. 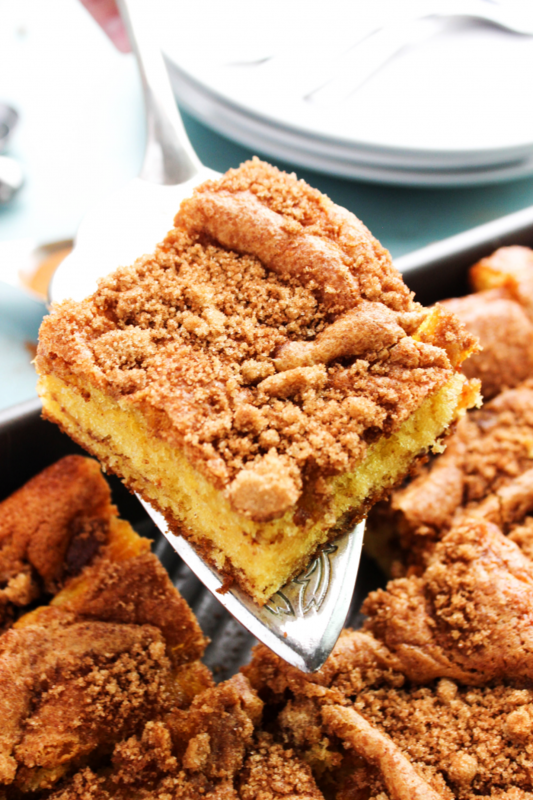 Immediately pour topping over bars when they come out of the oven. Sprinkle mini chocolate chips over the hot bar with topping and gently swirl in the chocolate chips with a butter knife. Let the bars sit at room temp until topping has hardened or chill in the refrigerator for 15-20 minutes. 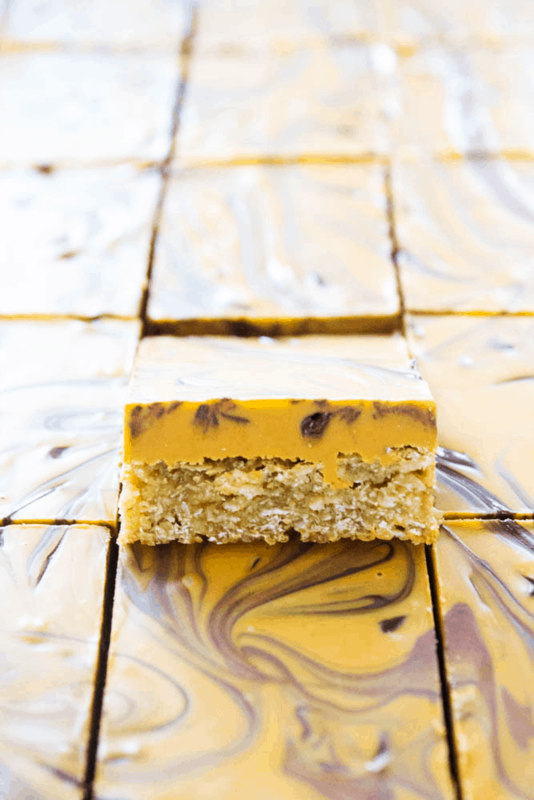 How much light corn syrup goes in the Butterscotch bars! It is unclear in the recipe. 1/2 up light corn syrup. Fixed, thank you Sharon!